IceCream Soup | God Squad: Marketing Strategy! The first colored God Squad! I think it came out spectacularly. I didn't really mean to...but it ended up kinda monochromatic. I don't think it looks too bad though...the colors are pretty relaxing IMO. haha I saw that, thanks! Pfff... I already subscribed before it was cool. Anyways, I like the approach to color here, looks nicely antique. 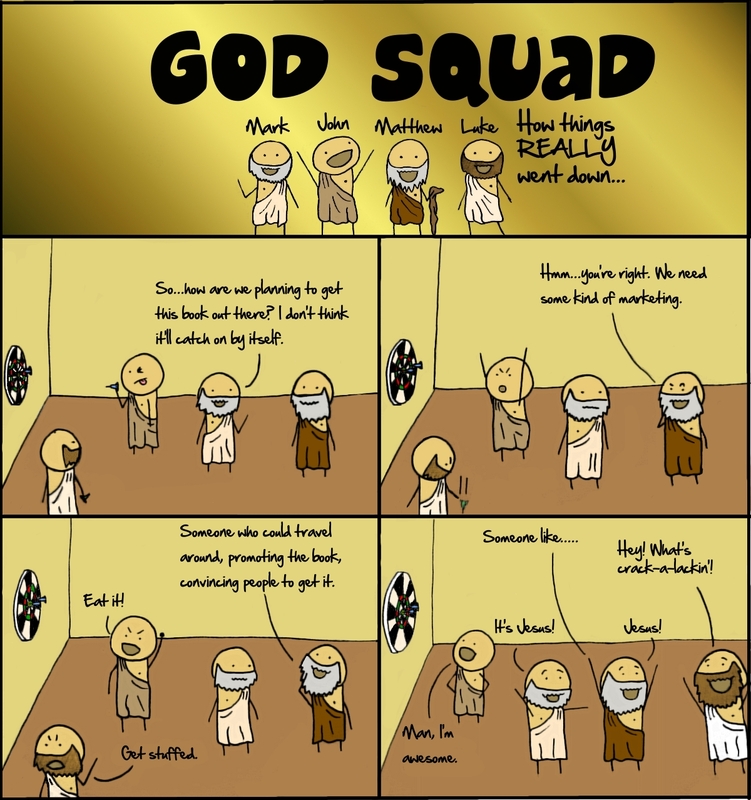 Wow, the God Squad just gets better and better! Love the look of it, too. Turned out real nice.